Who was the murdered South Philly mob associate Gino DiPietro? YOU MIGHT ARGUE that the Italian Mafia is harmless these days: La Cosa Nostra has been reduced to a bunch of has-beens making high-interest loans, running video-poker machines in bars and shaking down the occasional South Philly thug for a piece of the action. But you can't argue with a bullet-riddled corpse, a canceled wedding and a lonely German shepherd. Gino DiPietro had made a new life for himself and his family after doing 6 1/2 years in prison on a 1997 drug arrest and a couple of subsequent bumps with the law. He took his 72-year-old mother, Viola, to the gym. They rooted for the Phillies over the phone during games. His sons, Gino and Julian, had become young men. He baked homemade cookies and shared his chess strategies. He was eating healthy, working out and delivering BMW and Mini Cooper parts - not cocaine and methamphetamine. He wasn't flush with cash, but he was happy. He prayed before bed. And he was in love. 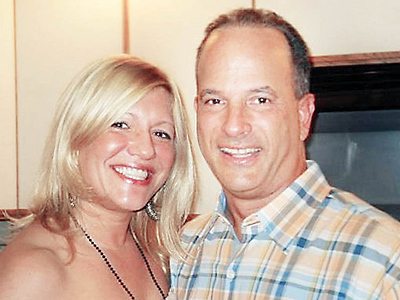 On Dec. 11, DiPietro asked his girlfriend, Alisa Lord, to marry him. He regretted that he didn't have enough money to give her everything. Lord didn't care. She would've lived in a cardboard box with him. They phoned her aunt to share the news. "He grabbed my hand and said to Aunt Carol, 'I want you as my witness. I'm marrying your niece New Year's Eve, and I want you at the head table,' " Lord said. " 'I love her so much. She got away 18 years ago. It's not happening again.' "
Cops were at Nicodemo's doorstep in nearby Packer Park before the blood had dried on the street. Police said his Honda SUV was seen fleeing the crime scene. It was parked near his home, where he lives with his wife and two children, less than a mile away. A gun was found inside the vehicle. If the case sticks, it could go down as the dumbest hit in Philadelphia mob history. Nicodemo, who law-enforcement sources say is a "made" member of the organization, could spend the rest of his life in prison. "He was a good man. He wasn't a wiseguy or a bully," Lord said of DiPietro on Monday after Nicodemo, 41, was indicted. "The minute we woke up, I'd put on [music]. We ate really healthy and exercised. Laughing, dancing. So in love. We were in our own world, our own little bubble." Police remain tight-lipped, and the use of an indicting grand jury has added an extra layer of secrecy. But an inmate doing time with Nicodemo "Nicky Slick" DiPietro - Gino DiPietro's stepcousin - says that Nick DiPietro had been talking about the hit before it occurred. "He always talked about Gino DiPietro . . . and how he ratted on his little brother, Victor. He said, 'Let him breathe the air for a year then I'm gonna get his lights turned out,' " the inmate wrote in a letter sent to the Daily News from the state prison in LaBelle, where Nick DiPietro is serving a life sentence for killing a man inside a club in 2000. "He has been making little comments lately and then, boom, before the papers even came out he said, 'Gino will be in the papers soon,' " the inmate wrote. Nick DiPietro, who says he's the godson of jailed former mob boss Nicodemo "Little Nicky" Scarfo, has denied any involvement in Gino DiPietro's murder, according to recent letters he has written from prison and obtained by the Daily News. "You know the streets are saying I approved this, which is a complete fabrication," DiPietro wrote. Then again, he doesn't seem too broken up about his stepcousin's death, writing, "I'd never oppose a rat getting 86'd." Nick DiPietro's attorney, Teri Himebaugh, said her client has not mentioned the shooting to her. Homicide Sgt. Robert Wilkins declined to comment on a possible motive, other than to say that police don't think it was "mob-related." Another law-enforcement source, however, warned against drawing that conclusion. Sources say authorities may be looking into whether reputed mob associate Domenic Grande was also involved in the shooting. Wilkins wouldn't confirm whether Grande was being investigated. In 2008, Nicodemo and Grande, 33, were indicted in connection with a sports-bookmaking ring that was run out of the Borgata Hotel Casino. Grande, son of mobster Salvatore "Wayne" Grande, could not be reached for comment Tuesday. "The whole city is saying that it's him," said a resident in DiPietro's neighborhood who did not want to be named, fearing mob retaliation. Still, the circumstances don't seem to add up. Why would Nicodemo - a suspect in the unsolved 2003 murder of John "Johnny Gongs" Casasanto - participate in a hit that police could trace back to him within minutes? "From a criminal-defense attorney's standpoint, it doesn't make sense," Himebaugh said. "It wasn't as professional of a job as one would expect. You'd expect that one would steal a car. Or maybe not park it in front of their address. Or not leave a gun in there." Meanwhile, Gino DiPietro's family says his drug-dealing days were over. They insist that he didn't have mob connections and, to their knowledge, didn't provide the feds with information about his cousin Victor. A drug case involving DiPietro that concluded with a sealed judgment may have fueled rumors that he was, or had been, an informant. "That rumor has been going around for years," Lord said. "Gino has never associated with any of those people." Gino DiPietro's sister, Linda Shattuck, said he went to school with former mob boss Joseph "Skinny Joey" Merlino, but didn't hang around mobsters. Merlino, now living in South Florida, was in Philadelphia in October for his father's funeral. "To hear that my brother's a rat, it's like my brain imploded. We don't come from a family like that," Shattuck said. Lord is left only with Gino's dog, Sage, and the memories of the man she was about to marry. She's trying to keep his reputation intact amid all the mob gossip. That's not easy in an echo chamber like South Philadelphia, where it's easier to kill a person than a rumor. Facebook doesn't help. Neither, she said, do news stories that have described DiPietro one-dimensionally as a "drug dealer," instantly erasing everything she loved about him. "You can do a million good things, no one remembers," she said. "You do one bad thing, no one forgets."